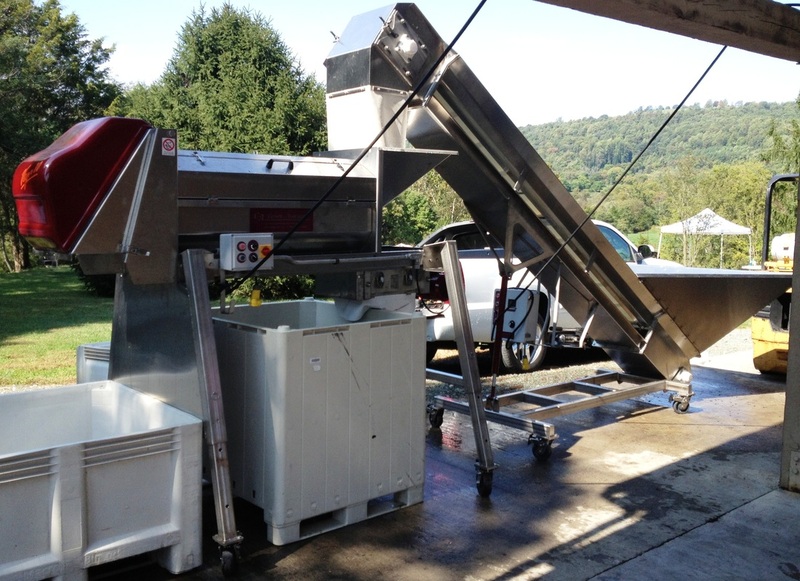 Partially manufactured in the USA, our Destemmer/ Crusher is one of the most dependable and easy to use pieces of wine making equipment on the market. 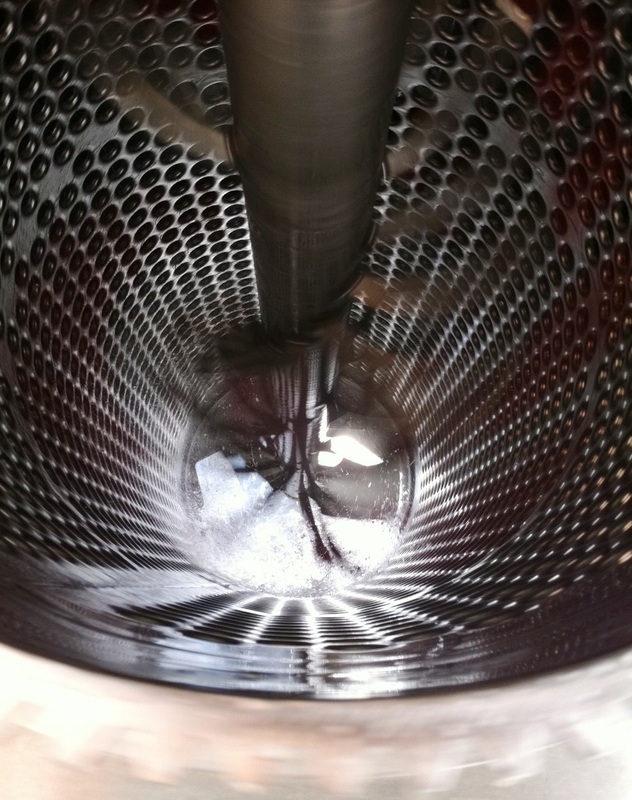 You have the choice to destem and crush or just destem and how much to crush grapes with an easy adjustment. This is an essential piece of winery equipment. Our destemmer comes in three basket hole sizes for vinifera, hybrids, and Muscadines. Our Puleo Vega series destemmers are rated in tons per hour. Some of the best winery equipment you can buy, this popular machine boasts some of the lowest noise levels and broadest range of effectiveness throughout its operating speeds. It is frequency controlled to lower the number of mechanical parts. The base or stand is included and fully adjustable to work over 1/2 ton, 1 ton bins, and our must pump. You have the option to skip the must pump and destem onto a sorting table (then through crush rollers?) or into a bin for small lot fermentation. You will have the option to crush, de- stem, or both at the same time. This works with all types of grapes and can be sized for very large or very small varieties of grapes. Our crush rollers are easily adjusted or taken out of service in seconds. All parts are available, off the shelf in the U.S. The basket is available in two sizes and is 100% hand ground and electro polished for a gentler process and easier cleaning. 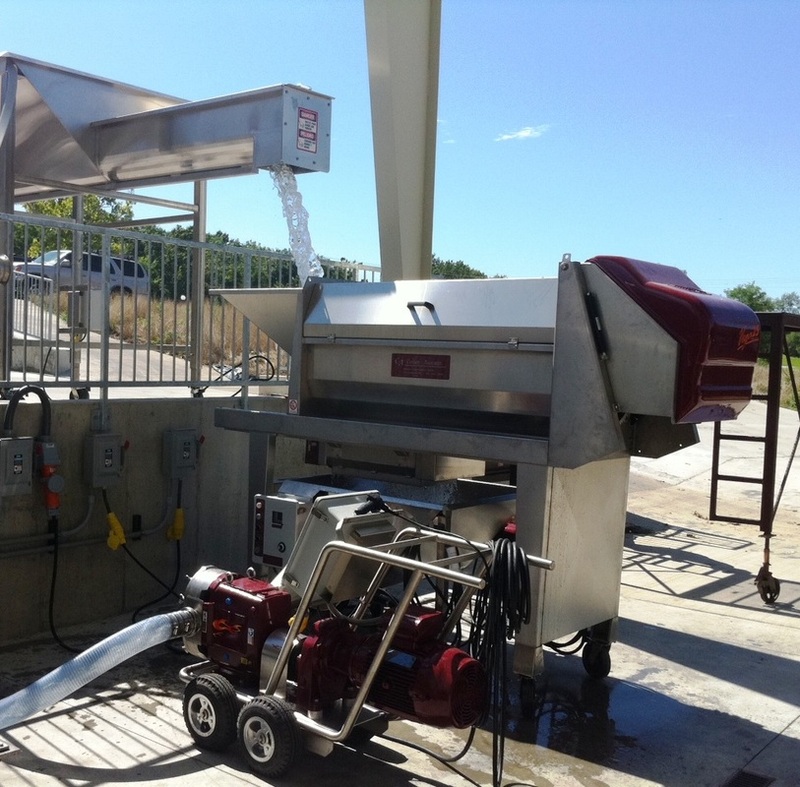 25 ton/ Hour system utilizing a Carlsen Receiving Hopper, Waukesha 220 Must Pumping System, And a Puleo Vega 25 Destemmer.